The 602T and 602R are a small and lightweight fiber optic transmitter and receiver pair for DVI signals. The 602T converts electrical signals to optical signals and the 602R decodes the optical signals back to electrical signals. Max. Resolution — Up to WUXGA (1920x1200) @60Hz, 1080p. Range — Up to 400m (1312ft) (multimode); up to 1500m (5000ft) (single–mode). Cable — 2LC single or multimode fiber optic cable. Advanced Solution — Small and lightweight, indispensable asset in any digital signage application. 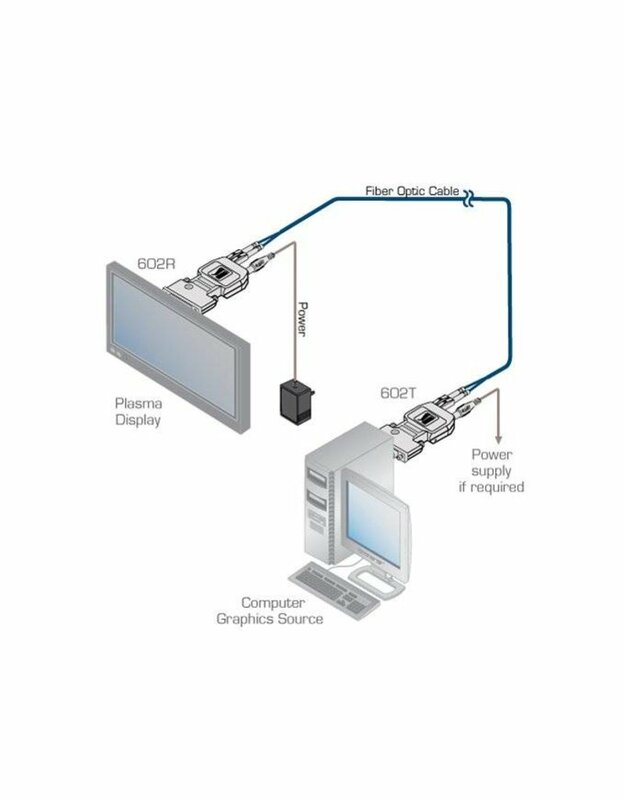 Standards Compliance — Supports DVI1.0 and DDC2B, fully implemented by fiber–optic communication. 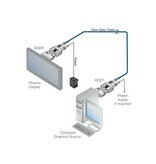 Digital flat panel and plasma displays used in medical, commercial and travel applications.